I’m going to tell you about two projects I started, because I think you should start projects like them, too. Both the Black Bear Club Reading Series and the Travelin’ Appalachians Revue were born out of frustration with the boozy and largely apathetic creative scene in my hometown of Morgantown, West Virginia. While West Virginia is having a bit of a renaissance in the greater American conversation, there has not always been much cultural support for the arts here. There are a handful of institutions in the state, like Tamarack and WV Writers, Inc, that do the good work where they can, but, generally speaking, these kinds of organizations stick to what’s clean and skew toward the academic, two things I avoid. I like things that are messy, unpredictable, and beautiful. Things that don’t really bring in the corporate dollars. I have a hunch that if there were more down-to-earth folks supporting weirdo kids who make and share art, we wouldn’t experience so much of the “brain drain” the state is known for. When I found myself retreating to Morgantown for the second time in the summer of 2013, I wanted to make something good happen instead of falling into the routines and melodramas of a full-blown party town. So I thought about my strengths, my connections, and what I could realistically do, given my lack of experience. On a phone call with Sam and Luke from the lit mag & podcast drDOCTOR, I mentioned that I was thinking of doing readings in West Virginia. At the time, they were frustrated with the reading series they were running in Brooklyn, where readings are kind of a dime a dozen. They agreed with my hunch that, if done right, a reading series out here where people don’t see a lot of this kind of thing could really mean something. I still believe that it does. Before starting either project, I had participated in only three readings, and only two of those were fun. I had attended plenty of readings, and these were almost entirely joyless. So I figured I would need to make readings fun without being pretentious, and accessible without being pedestrian. I knew that in order to be good in a place like West Virginia, it would have to be a party. I settled for a rock club owned by my friend L.J. called 123 Pleasant Street. It’s a place I’ve been hanging out at and supporting in one way or another for close to 15 years. With dollar Black Labels, rotating art, and professional sound, we pack about 50-60 people into most readings. For the Black Bear Club, I combed through my immediate connections in local institutions and arts scenes for one poet, one blogger, and one fiction writer. This is the rubric I kept to for the first three years of the series. I have to tell you it isn’t my idea—I stole it from drDOCTOR. Nothing new under the sun, as they say. For each reading I would contact a different Appalachian artist to make an event flyer, because I want everyone to have tangible memories to hold on to, and each reading was also recorded and aired as a part of the podcast drDOCTOR produced. As time went by, though, it was less and less practical to have so many readings in Morgantown, and the strict program rubric became less about a fun challenge and more of a pain. 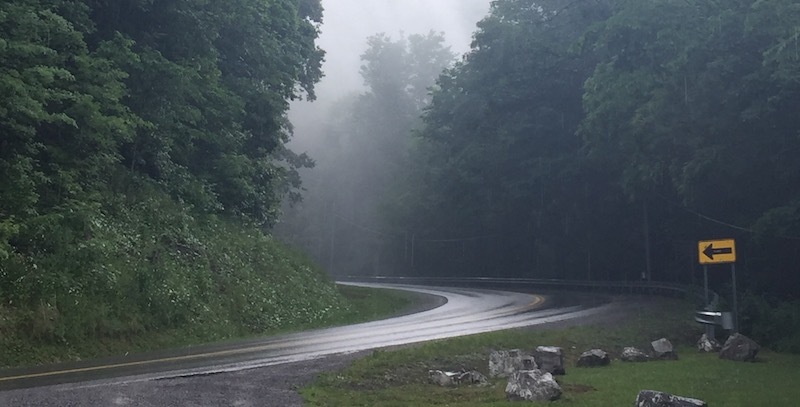 Recently, I’ve been experimenting with inviting touring writers to read in Pittsburgh, where I now live, and offering them a second, completely programmed reading in West Virginia. Compared to a metropolis like Pittsburgh, Morgantown is hard to get to, and on top of that we still face a lot of stigma. So I host glitzier readings in Pittsburgh as bait and slingshot the bigger name writers down into West Virginia, thereby maintaining my mission of supporting Appalachian arts. I think it’s important to touch on the culture of Morgantown for a second so you can have a better idea of how easy it is to do what I do. Morgantown is home to West Virginia University, and West Virginia University represents, to an extent, West Virginian cultural identity (ease up, Appalachian poets, I’m intentionally oversimplifying here). A Flying WV icon is synonymous with utmost West Virginia pride, whether you attended the school or not. WVU is consistently ranked in the upper echelons of American party schools. So, if you don’t want to flex your head, you absolutely don’t have to. But that also means that there can be a lack of interest in the arts, and in some instances outright opposition. I’m telling you this to drive home the idea that I am an amateur in this arena, and if I can make it work in an unlikely place like Morgantown, you can certainly do it in your unlikely place, too. Later in 2013, I started a touring festival with some friends, the Travelin’ Appalachians Revue, that showcases the work of musicians, writers, poets, and visual artists, and visits small towns and cities in Appalachia each year around West Virginia Day (June 20, the anniversary of the state’s admission to the Union). The idea being that, even in bigger cities, support, funding, and enthusiasm for the arts is hard to come by, and successful writers or artists are often not connected with established writers or artists two or three counties over. So what the Travelin’ Appalachians Revue (TAR) does is take the arts directly to the communities. We launched TAR as a reaction to the pervasive feeling that anything creative in WV had to fit into a certain set of parameters, such as old-time music or that pastoral, up-by-the-bootstraps J.D. Vance writing. My friend Tyler had this beautiful forest green mid-90s Chevy Astro called “Man,” or “Astro-Van.” We decided to select a crew of six writers and musicians and ask them to perform short, five-minute sets for seven days in different West Virginia towns, and we invited writers and musicians in each location to perform with us. Now the show spans ten days and includes pop-up galleries by local artists and craftspeople, DIY maker bazaars, and handmade zine fests. We travel in a brand new fifteen-passenger van and take upwards of ten artists on the road. This year we’re going as far as Asheville, NC. We also make a zine, anthologizing work from all of the folks involved. The zine on its own has grown yearly to where we now publish emerging writers and artists as well as established ones—which is to say, we’re not just reprinting work. A different artist designs the cover every year. This project, nearing its fifth year, is still entirely DIY, something we’re very proud of, and we want to share our experience with anyone who wants to learn how to create their own zine. Appalachian creatives are proud to debut their work in our zine, and that, to me, is worth everything. Looking forward, I’m trying to develop pop-up writing and DIY workshops around West Virginia. As twenty- and thirty-something post-graduate artists and writers, everyone involved in steering the Revue with me works various collections of part-time jobs and freelance gigs—not an ideal living, but it does allow us the scheduling fluidity to make this project possible. Between both the Black Bear Club and the Revue, I’ve had the pleasure of hosting amazing and beautiful writers such as Denise Giardina, Scott McClanahan, Juliet Escoria, Christa Parravani, Anthony Swofford, Bud Smith, Keegan Lester, and Michael Bible. Howard Parsons is a writer from West Virginia. He currently splits his time between Pittsburgh, PA and Morgantown, WV. His words have appeared in Hobart, Instant Prose, and drDOCTOR. Sticks, not slices. 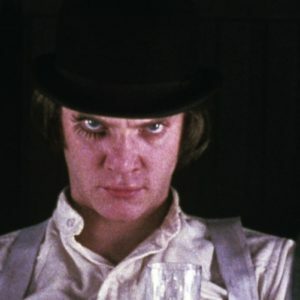 "If A Clockwork Orange Can Corrupt, Why Not Shakespeare and the Bible?"